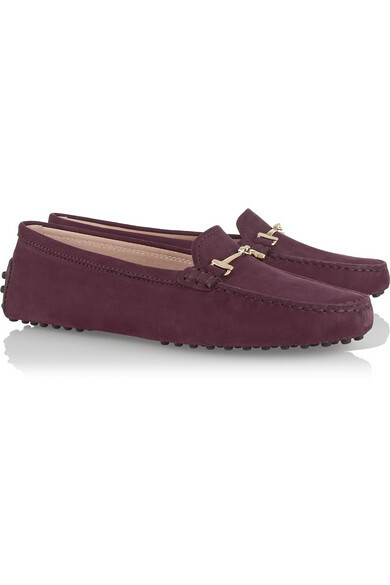 Tod's is adored for its exceptional collection of traditional Italian-made loafers. 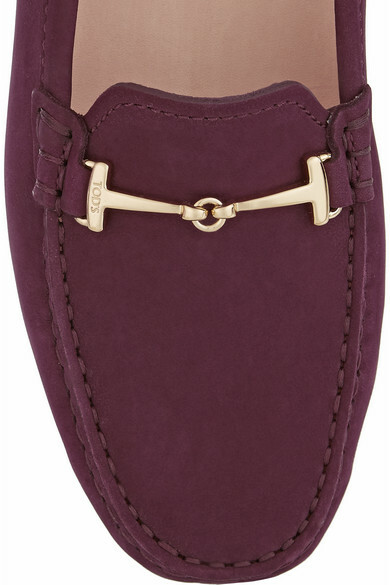 Crafted from soft grape nubuck, this 'Gommino' style is designed with the label's iconic pebble sole for a flexible, comfortable fit. 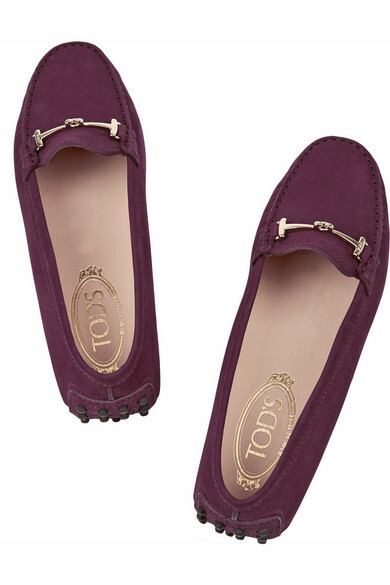 Slip them on with everything from workwear to weekend looks. Shown here with: Adam Lippes Pants, Topshop Unique Vest, Marni Shoulder bag, Arme De L'Amour Ring, Chloé Cuff.